Email marketing is so effective because it allows businesses to cultivate genuine relationships with customers. This can result in a loyal following of individuals who’ll be more likely to repeatedly pay for a company’s products or services. Thus, it helps to think about your email list subscribers as people with whom you have actual relationships. For example, if you knew it was a friend or family member’s birthday, you’d get in touch with them. 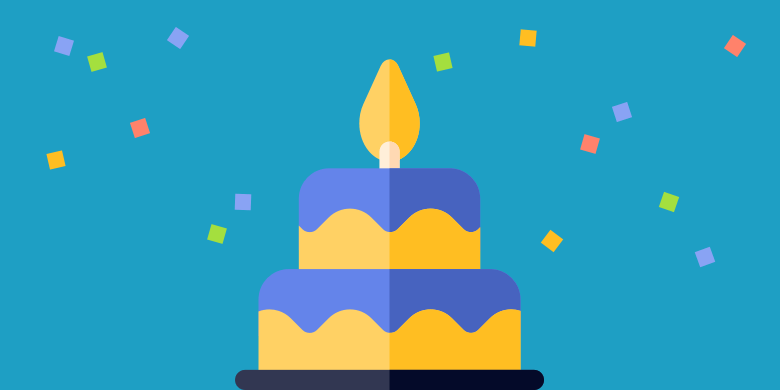 Doing the same for your customers with a happy birthday email is a simple way to boost both brand loyalty and sales. You just need to adhere to certain best practices to make sure this relationship marketing strategy is as effective as possible. If you’re thinking about incorporating birthday emails into your campaign, keep the following points in mind to guarantee the best results. You don’t necessarily have the time or resources to send birthday emails to every customer on your subscriber list yourself. That’s why you should automate the birthday marketing process. Popular email marketing services like Mailchimp make doing so easy. All you have to do is ask subscribers to input their birthday when they initially sign up for your email list. A birthday email will make a subscriber feel like you value their patronage on a personal level. That said, simply sending a message that says “Happy Birthday” may not be the best way to use this relationship marketing strategy. Surveys indicate that 87% of customers prefer brands that offer loyalty programs. Including a discount or similar promotional offer to reward a loyal customer on their birthday will help you make a good impression and increase customer retention. According to one report, the open rate for a happy birthday email is 45%. That’s a lot better than 20.81%, the average open rate for all marketing emails. That said, there are steps you can take to further boost the open rate. Consider sending multiple messages that each follow a standardized happy birthday template: one before a follower’s birthday, one on the actual day, and a birthday email that reminds them to take advantage of their benefit a few days later. After all, a follower may be getting several emails on their birthday. It’s easy for them to overlook yours. Sending more than one boosts the odds of them opening the message, and using a happy birthday template can decrease the amount of work needed to create each of these. You may already have a strong email list. Unfortunately, your old sign up form may not have asked subscribers to input their birthdays up until now. That doesn’t mean you can’t engage them with a relationship marketing strategy that rewards them with happy birthday emails. Just segment your list into subscribers whose birthday info you have and those you don’t. Then, send the latter group an email that asks them to let you know their birthdays so they can get a reward each year. You might consider making this birthday marketing tactic more enticing by giving a reward just for providing the info. Remember to think from a subscriber’s perspective when designing your happy birthday email template. While you want the design to be in line with that of your overall branded content, you also want to ensure it conforms more to the style of a birthday card. Use warm, friendly colors and images. Consider using fonts that resemble handwriting. Let your subscribers know you truly appreciate them and want to celebrate them. In this way, you can get the most out of the customer retention advantages this type of relationship marketing offers. .
Again, email marketing works because it lets you relate to customers on a personal level. Sending a happy birthday email is a simple and effective way to make them feel like your brand truly values their business. These tips will help you leverage this tactic to its full potential.